There is a very simple explanation for how dieting keeps you from living a full life. In one glance, we can see that dieting keeps you trapped in a cycle – that leaves very little time, space or energy for other, more fulfilling things. 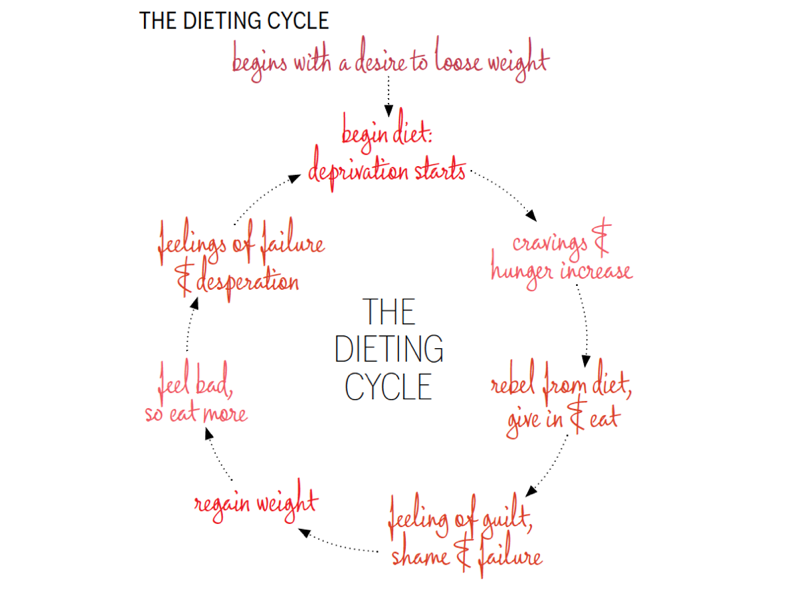 Take a look at the Savvy Girl Guide to Eating diet cycle. I know that when I was a chronic dieter which led to an eating disorder I was pretty much always caught up in one of three places. Guilt phase: recovering from my cheat or binge and overcome with guilt, remorse and hopelessness with the thought of starting over. How can you possibly have real room in your life for other people, goals, emotions and experiences with so much internal battle looming at all times?